A Conservative student group has said they would not welcome the political activist Tommy Robinson into their ranks. When asked whether Turning Point UK activists should “band together” with “alt-right” campaigners such as Robinson, Steve Edginton, who is also the chief digital strategist for Leave Means Leave, said “he was not a fan" of the activist. 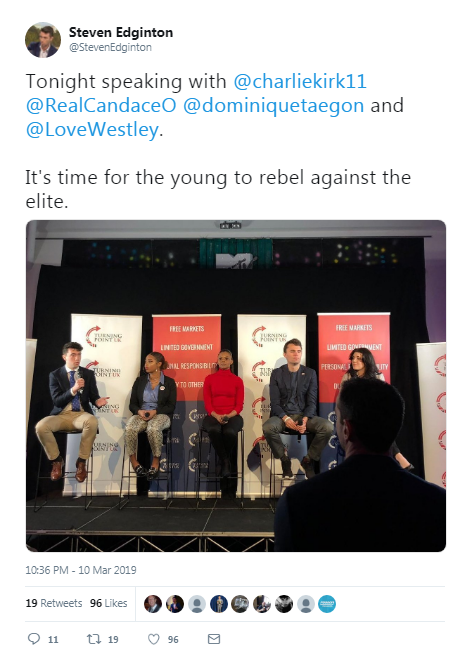 The ambassador for Turning Point UK, which launched last month, said that the group did not think Robinson - real name Stephen Yaxley-Lennon - should be “shut down” but that they did not agree with his campaigns. “We have got to be really clear about the people who are in this movement and I don’t believe Tommy Robinson should be part of Turning Point UK," he told an audience at the group's first live event in London on Sunday night. “He is someone who promotes identity politics of the right and I personally disagree with the way he campaigns. Turning Point UK, which describes itself as a "grassroots organisation dedicated to educating students and other young people on the values of free markets, limited government and personal responsibility". Chloe Westley, the campaign manager of Taxpayer’s Alliance, was also on the panel and backed Mr Edginton’s statement. “We believe in free markets and free speech but I will not associate with anyone who engages in identity politics of the right,” she said. Labour deputy leader Tom Watson has called for Robinson to be banned from YouTube, following bans by PayPal and Twitter. Robinson's YouTube channel is currently demonetised - so he cannot earn money from uploaded videos - but he is not banned from publishing videos on the platform. 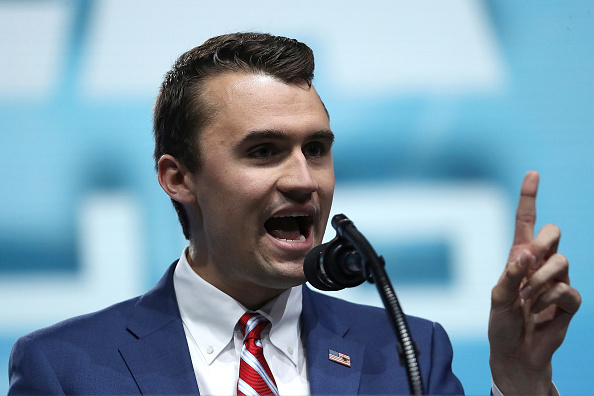 However Turning Point US founder Charlie Kirk defended Robinson, saying that someone should not be locked up "because they are filming outside a courthouse". Robinson faced allegations that he committed contempt of court by allegedly filming people involved in a criminal trial and broadcasting footage on social media. The attorney general, Geoffrey Cox, has decided it is in the public interest to bring further proceedings against the activist. After the panel, Ms Westley was questioned by members of the audience who felt she would “change her mind” if she knew more about Robinson’s case. Speaking to talkRADIO about the confrontation, she said: “I think it happens more because I am young. I have a lot of friends on Twitter who say ‘this poor girl, she is so young and she does not know her own mind’.